In Richmond after the award: John Martino, IGG on the left and Don Eckerle, GGG on the right. The people in the background are all members of the either the German Genealogy Group or the Italian Genealogy Group and have been volunteers on the various projects. Left to right back row: Susan Murphy, Margaret DeAcetis, Joan Koster Morales, Terry Koch-Bostic, Randi Patrick, Marie Scalisi. Don Eckerle of the German Genealogy Group (GGG) and John Martino of the Italian Genealogy Group (IGG) will join host Jane E. Wilcox on the Forget-Me-Not Hour radio show on Wednesday, 6 August at 10:00 a.m. Eastern. Don and John will talk about the mammoth indexing projects their groups took on when they decided to tackle Long Island records and then New York City vital records and then NARA NYC records and then some more. 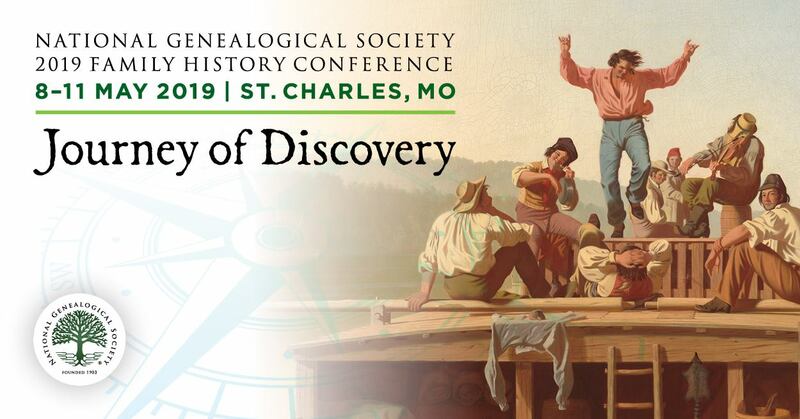 Don and John will discuss what records they have done, what records they intend to do, and what the differences in their groups' databases are. They will also tell us how they manage their indexing projects with more than 2,000 volunteers. They'll share interesting stories from their indexing and tell us about unusual records or people that they came across in the records. 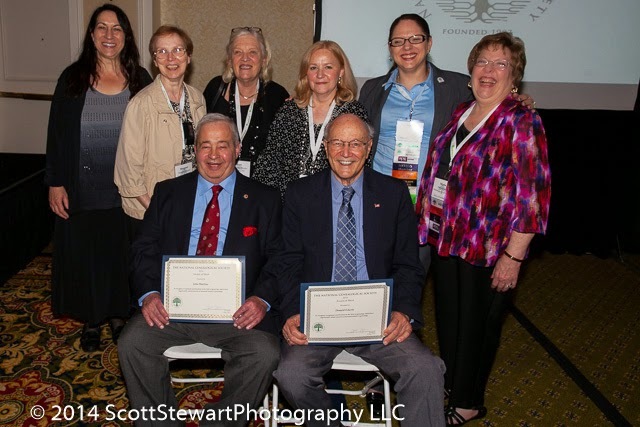 In May 2014 at the National Genealogical Society's annual family history conference held in Richmond, Virginia, Don, John and their GGG partner Bob Boeckle received the National Genealogical Society's Award of Merit in recognition of exceptional contributions to the field of genealogy.